By Jenny Wells. Video by Reveal Research Media. The UK Office of Undergraduate Research, along with SPUR (the Society for the Promotion of Undergraduate Research), and the UK Student Government Association, will host the eighth annual Showcase for Undergraduate Scholars 3 to 6 p.m. Wednesday, April 24, in the ballrooms of the UK Student Center. 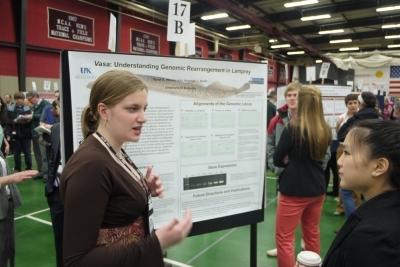 Each year, the showcase brings together undergraduates from all disciplines, their faculty mentors, and members of the community to learn about the various types of research being done by undergraduate students at UK. This occasion provides these students the opportunity to demonstrate and discuss their specific projects and the professional advancements the projects helped achieve. It not only provides a great learning experience for the participants, but for the attendees as well, who gain more knowledge about the world around them, as well as the depth of undergraduate involvement in research at UK. This year, approximately 175 students will be contributing their original work to the event, including 173 poster presentations and five oral presentations. 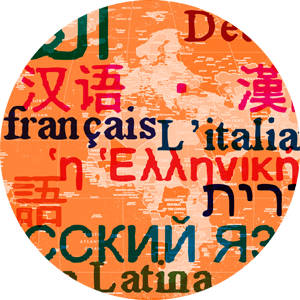 The students represent nine colleges across campus. Catering will be provided by the Nutrition and Food Science undergraduate students enrolled in a Dietics and Human Nutrition course, taught by Professor Sandra Bastin. During the opening ceremony, a talk will be given by 2012 UK graduate Martha Groppo, who earned dual degrees in both journalism and history. During her time at UK, she participated in the Honors Program and was a Gaines Fellow and earned departmental honors in history. She also worked as a Kernel editor and wrote two undergraduate theses. She became UK’s first University of Virginia Semester at Sea Presidential Scholar and circumnavigated the globe by ship while writing her second thesis on foreign correspondent Nellie Bly. Last fall she taught a communications course in Lusaka, Zambia and became a Rhodes Scholarship Finalist. In September, she will begin a doctoral program in international history at Princeton University. The opening ceremony will also include a performance by students in UK Theatre's Dance Minor program, as well as the presentation of the Faculty Mentors of the Year awards. Amanda Kaiser, president of SPUR, will serve as moderator of the ceremony. Many students participating in this year's showcase also attended the National Conference for Undergraduate Research (NCUR) earlier this month at the University of Wisconsin-LaCrosse. One of those students, Sarah Whelan, a sophomore biology major, says the benefits of conducting research at the undergraduate level go beyond lab experience. "Participating in undergraduate research has opened new doors for me," Whelan said. "It has also allowed me to have first-hand experience with how research in a biology lab is done, and allowed me to work closely with a faculty mentor. Additionally, being able to present my research at a professional setting, such as NCUR and the Showcase of Undergraduate Scholars, has allowed me to enhance my public speaking skills, while allowing me to explain the research I've done over the past year to other faculty members, administrators, and, at NCUR, to other researchers at other schools. Undergraduate research has confirmed my desire to go to graduate school and earn a PhD." Talia Henkle, a sophomore biology and Spanish major, says programs like the showcase and NCUR have helped her make connections beyond UK. "Getting involved in undergraduate research has caused me to mold new career goals by stimulating my interest in working in the drug industry as a researcher," she said. "Additionally, it has facilitated me to work and make connections with scholars from all across the country. I've enjoyed the opportunities I've had to present my research at the state capitol and at NCUR." 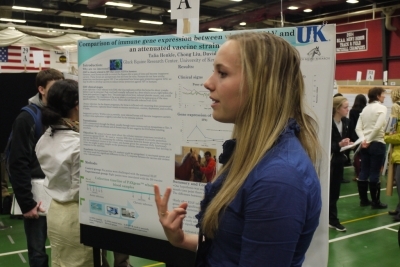 UK will host the 2014 NCUR April 3-5. The Showcase for Undergraduate Scholars is open to the public; students, faculty and staff are highly encouraged to attend. For more information about this year's Showcase for Undergraduate Scholars, contact Evie Russell at evie.russell@uky.edu.